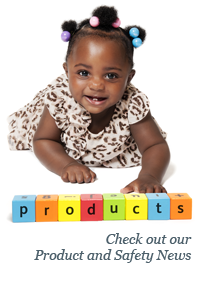 Safe Kids is committed to keeping you informed about recalls of products that can put kids at risk. This recall report contains 7,000 units of pain & itch relief products because their packaging is not child-resistant and 6,600 LÍLLÉbaby baby carriers because a part can detach. The Safe Kids’ recall center is a unique place where parents and caregivers can go to stay up-to-date on recalls of all child-related products. SIGN UP! Did you know that 76,000 units of Uber Numb anesthetic cream and spray that fail to meet child resistant packaging standards were recalled this month? Would you have wanted to be among the first to know? Sign up for our twice-monthly recall email. November 1, 2018 CPSC; Pain Relief Naturally Recalls its Pain and Itch Relief Creams, Sprays and Gels because the packaging fails to meet child-resistant requirements of the Poison Prevention Packaging Act, posing a poisoning risk to young children. Units: About 7,000. November 27, 2018 CPSC; IKEA recalls its GLIVARP extendable dining tables because the table’s glass extension leaf can detach and fall unexpectedly, posing a laceration hazard. Units: About 8,200 (an additional 1,500 were sold in Canada). November 27, 2018 CPSC; Öhlins recalls its RXF36 and RXF34 air suspension bicycle forks because a part can abruptly spring out of the product assembly, posing fall and injury risks to the rider. Units: About 5,400 (an additional 550 were sold in Canada). November 20, 2018 CPSC; Seabreeze International recalls its Smart Thermaflo Bathroom Heater Fans because the safety cutoff can fail to function allowing the heater to overheat, posing a fire hazard. Units: 2,100 (an additional 3,050 were sold in Canada). November 20, 2018 CPSC; HoMedics recalls its MyBaby Giraffe Nightlights because the feet of the giraffe-shaped nightlight can detach, posing a choking hazard to small children. Units: 3,000. November 15, 2018 CPSC; RH recalls its metal-wrapped coffee tables because the metal top contains lead, posing lead exposure and adverse health risks to consumers and children. Units: 1,524. November 15, 2018 CPSC; LÍLLÉbaby recalls its Active series baby carriers because the chest clip strap can detach from the shoulder strap, posing a fall hazard. Units: About 6,600. November 8, 2018 CPSC; H.I.S. Recalls Self-Esteem brand girl’s clothing sets because the sets’ metal pendants contain lead levels that exceed the federal lead content ban, posing adverse health risks to children. Units: About 5,300. November 8, 2018 CPSC; Lifetone Technology recalls its Bedside Fire Alarm and Clock because the fire alarm can fail to operate and fully alert consumers to a fire. Units: About 10,000. November 8, 2018 CPSC; American Honda recalls its Honda Pioneer recreational off-highway vehicles for model years 2016-2018 because the throttle body can ignite if incorrectly installed, posing fire and burn hazards. Units: About 56,000. November 8, 2018 CPSC; Mountain Warehouse recalls its children’s water bottles because the bottles’ spout can detach and expose a small ring, posing a choking hazard to children. Units: About 1,000. November 8, 2018 CPSC; A.O. Smith recalls its Ultra-Low NOx water heaters because the heater’s burner screen can tear, resulting in excess radiant heat and posing a fire hazard. Units: About 616,000. November 1, 2018 CPSC; MCS Industries recalls its Glacier Bay Bi-View medicine cabinets because the mirror can separate from the cabinet door and the glass can break, posing a laceration hazard. Units: About 15,400.